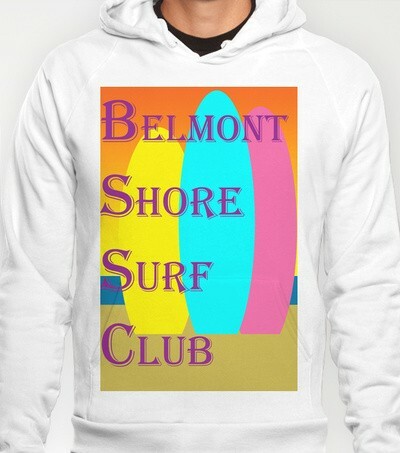 Belmont Shore Surf Club Hoody! American Apparel California Fleece Pullover Hoody made with a 100% California Fleece cotton. Complete with kangaroo pocket this stretchy, comfortable fit, unisex cut includes double-stitched cuffs and hem. This cozy cotton hoody is the PERFECT BELMONT SHORE gift idea. Someday the waves will come and when they do, the Belmont Shore Surf Club WILL BE READY!